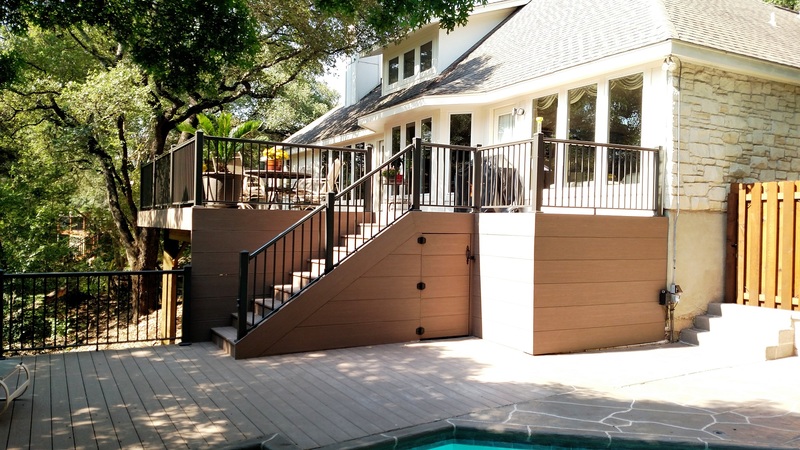 If you see a new deck in your future, look to Austin deck builder Archadeck of Austin for innovative deck design ideas this summer or fall. Whether your home is situated in the rolling hills of the Texas Hill Country or grounded on more level terrain, we can design the perfect deck for your needs. We’ll also help you sift through the trends in deck designs so you can determine what types of designs resonate with you. Each home is unique, so the deck design we create for you will be, too. 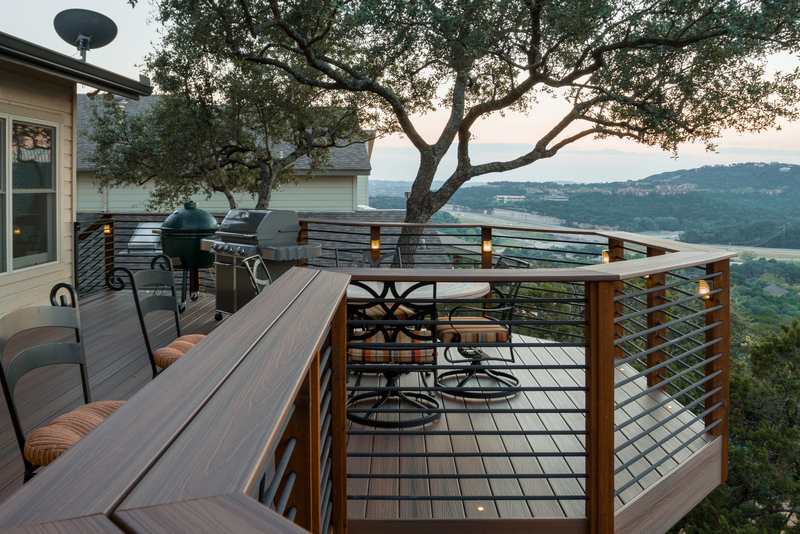 — Archadeck Design Award-winning deck in Steiner Ranch. What Are The Trending Colors In Austin Deck Designs? If you guessed gray, you’re correct! 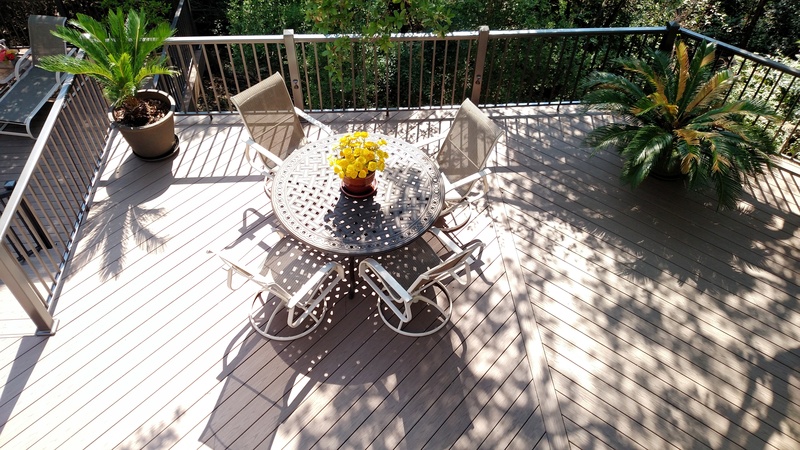 Gray is a super-hot color for low-maintenance composite and synthetic decks right now. It’s also a classic color, so as new design trends move in each year, gray will still be in style. You won’t have to worry about your low-maintenance deck looking dated. We’re also getting a lot of requests for decks built with hardwoods and stained in rich colors. Exotic hardwoods are trending as more customers have asked for tigerwood and ipe (pronounced ee-pay) instead of cedar or pressure-treated pine. While tigerwood and ipe have traditionally been a good bit more expensive than cedar, the prices for these hardwood decking boards have come down somewhat. 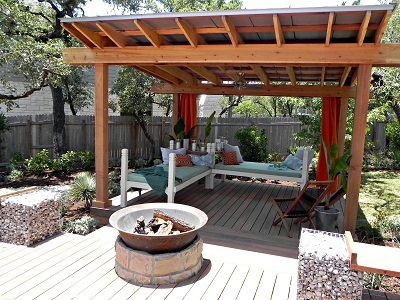 — Custom Ipe deck in Austin, TX. If you’re wondering about the name “exotic hardwoods,” exotic refers to trees that are grown outside of the United States. Many of the hardwoods like tigerwood and ipe are grown in Brazil or other South American countries. What do you need to know about hardwoods? First, they are quite durable and incredibly beautiful. Second, they do require some maintenance if you want the wood to retain its rich tones. While some hardwoods should be sealed or treated with deck oil to maintain their original rich tones, they don’t require staining. If you allow a hardwood deck to weather naturally it will develop an attractive silver patina. 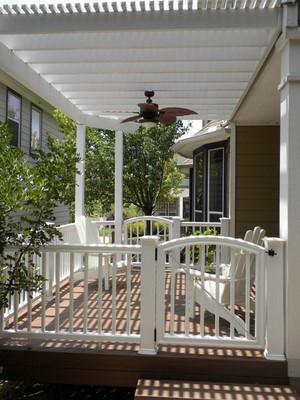 A look at Austin deck designs would not be complete without talk of railings. Metal railings and pickets have been overtaking wooden ones in popularity for quite some time, and aluminum is specifically trending now. The older wooden pickets or balusters were clunky looking and usually blocked too much of the view from a deck. As metal railings have become available in increasingly thinner designs, Austin homeowners have appreciated the greater visibility they provide. Iron has been the railing of choice for many, but more clients today are choosing aluminum because it offers more color options and stands up better to the effects of weather. Deck lighting is hugely popular right now. We see more and more clients choosing to integrate lighting into their deck designs primarily for ambiance but also for safety after dark. What this trend tells us is that Austin-area homeowners are thinking more about increasing the usability of their outdoor living spaces at night. The addition of deck lighting gives you more hours of deck time each week. Homeowners are planning ahead to make the most of the time they spend outdoors on their new deck, making the deck a better value all the way around. Archadeck of Austin has been building Austin decks for over 18 years. We’ve seen some design trends come and go while others “stick” and don’t go out of style. What questions do you have about Austin deck design ideas? Give us a call to get started. We can answer your questions and work with you to design the outdoor living space of your dreams. 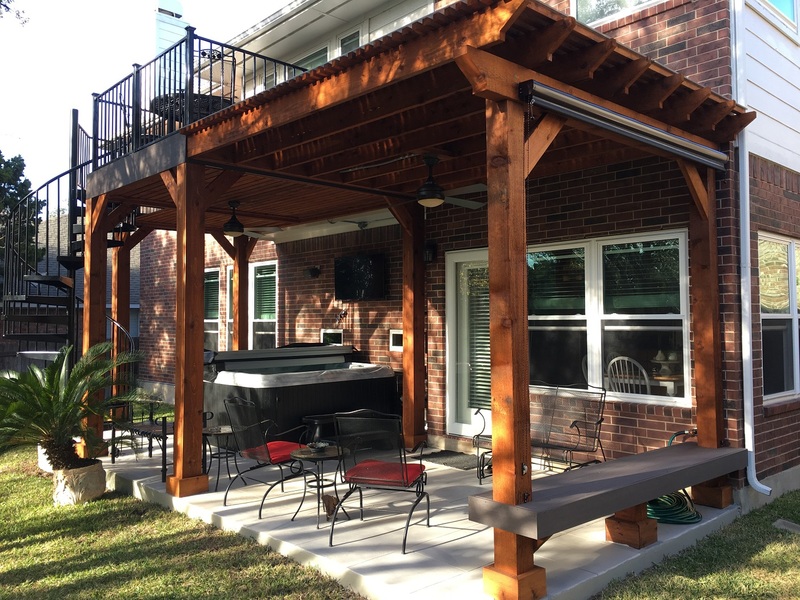 Whether you’re thinking about adding a deck or a deck-and-patio combination, contact Archadeck of Austin today at (512) 259 – 8282 or via email at [email protected] to schedule a free design consultation.